Year of Young People 2018: Sirri Topping | LEAP Sports Scotland We celebrate the achievements and stories of young change-makers from within the LGBTI community. Sirri Topping is LEAP Sports very own Project Officer (Communities & Events). She became an Inclusion & Diversity Youth Ambassador of Change at the Scottish Football Association following her post-graduate studies at the University of Glasgow focusing on gender and queer equality in sport. This interest stems from many years of participation in sport, particularly football and rugby. Sirri’s interest in sport comes from her cousin and Dad who are both sport fanatics, football in particular. My Dad used to play for the local team, and when it was his turn to do laundry I would try on all the shirts to see what number suited me best. By the time I was old enough to play in primary school, my cousin had me well drilled and ready to nutmeg anyone who stood in my way. Sirri recalls bringing home a note for all ‘boys’ interested in joining the after-school football club. After an angry phone call from her Mum, who pointed out this typo, Sirri was allowed the ‘opportunity’ to plead her case to the principle. Sirri believes that although it was her cousin and Dad who lit the fire, her Mum was the one who kept it well stoked. Sirri is conscious that she participates in sport from the perspective of a cis-woman, she thinks she’s always been relatively well off when it comes to challenges in sport. 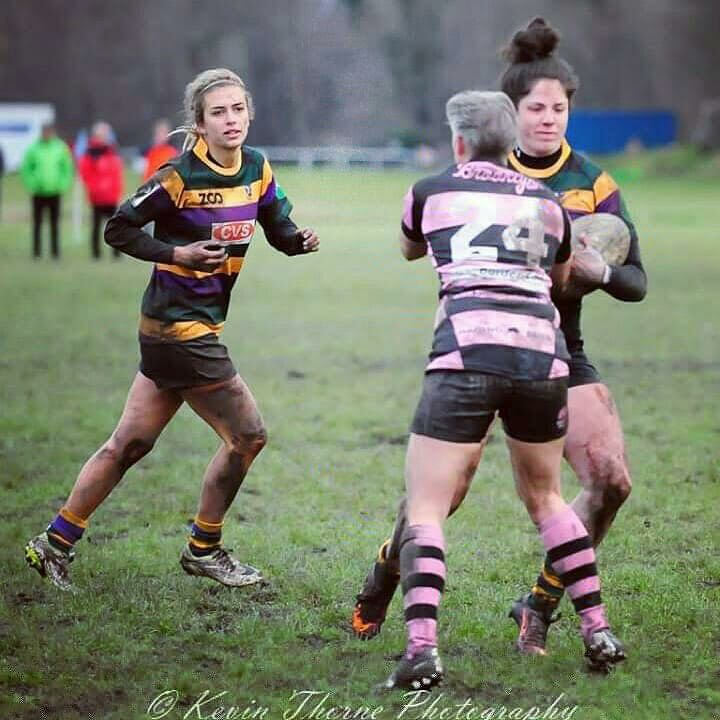 The football and rugby teams she has been a part of have been completely accepting of lesbian and bisexual women, she states that this is one of the many great things about women’s sport. 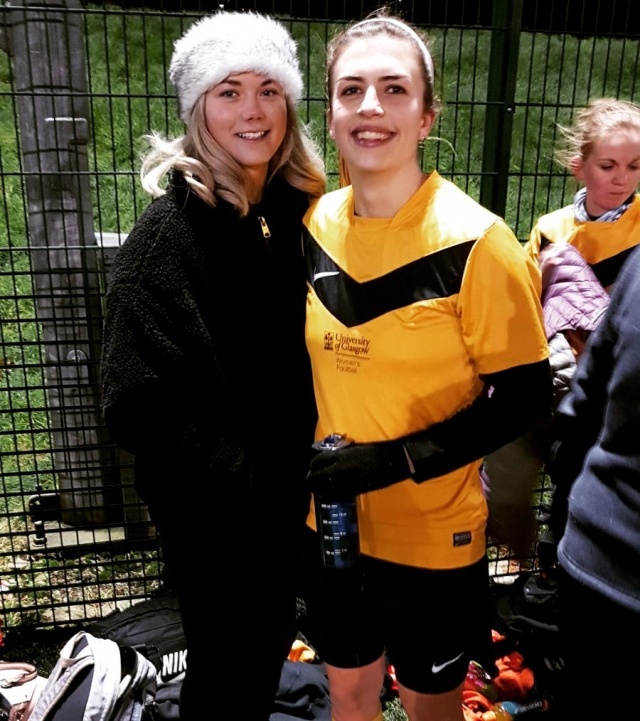 When I was first coming to terms with my sexuality, I felt the need to ‘come out’ to my teammates and I was worried that by living up to the ‘lesbian’ stereotype of women footballers, I’d be somehow letting them down. This was something I unnecessarily built up, for this reason, the biggest challenge I’ve faced in sport were the demons in my own head. Sirri believes she is beginning to see a shift towards women of all orientations just ‘being’ without the need to explicitly come out. Alongside this, however, she thinks visible role models are extremely important so to an extent it’s about creating environments where people can be open about their sexuality without feeling the pressure of ‘announcing’ it. The barriers she faced accessing football built the foundations for her desire for diversity and inclusion within sport. Through her teens, she felt a growing frustration that a masculine culture persisted to make certain sports unwelcoming for anyone who wasn’t a cis, white, heterosexual man. 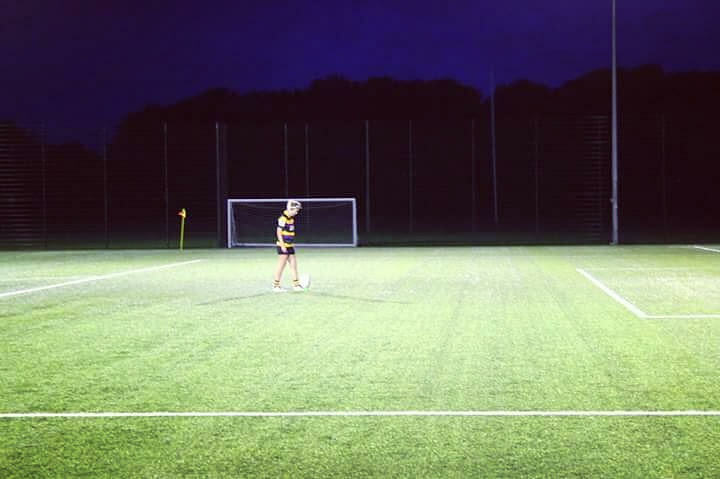 During her student days, she really began to fall in love with team sports whilst realising that she was actually one of the lucky ones, given that her cis identity allowed her to play without having to prove she belonged. This combination of factors guided me to focus my postgraduate studies on gender and sexuality in sport, become a Scottish FA Youth Ambassador for Diversity & Inclusion and volunteer with LEAP Sports Scotland. Two years on from my introduction to LEAP, I consider myself extremely fortunate to be working full time for an organisation which works tirelessly towards LGBTI equality in sport. Sirri works full time for LEAP, where she takes care of events and community work as well as leading on Football V Homophobia Scotland. Sirri has always aspired to have a meaningful job. It's her core belief that everyone should have an equal opportunity to participate in sport, largely because she has gained so much from it herself. Her job at LEAP allows her to achieve this goal and to help benefit the LGBTI community. Written on 5th February 2018.